On April 26, 2008 my oldest son, Tim Schenke, died by suicide. Tim was the first of at least 10 teen/young adult suicides in Southern Monmouth County, NJ within a four year period. I continued to grieve for those young people, many of whom I knew. 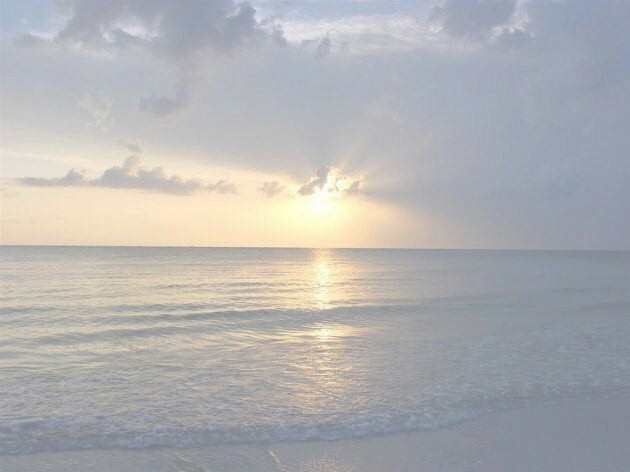 While working through my grief, I have obtained tremendous support through family and friends, and also by looking for the bright side - inspirations and positive signs - and by helping others. My memoir, "Without Tim: A Son’s Fall to Suicide, A Mother’s Rise from Grief" is geared toward helping all who are grieving, especially parents and those who have lost a loved one to suicide, as well as helping teens and young adults who are struggling with their own sense of self-worth. It tells two parallel stories: the story of my recovery during the first two years after Tim’s suicide, and the story of Tim - glimpses into his life as he grew up. I hope the inspirations and resources included here will be helpful to all who are working through suicide/grief recovery, having difficulty coping, or suffering with suicidal feelings. My advice is to continue to search for what works for you: one day it might be visiting with a friend, a different day it might be reading affirmations, and another day it might be calling an anonymous helpline for support. Please reach out. You are important and you are loved. I would like to thank Nature’s Corner of Spring Lake Heights, NJ for their generous donation to the Tim Schenke Light of Hope Scholarship Fund. To give back to the local community that supports their mission and values at Nature’s Corner, 5 weeks per year they donate 5% of one week’s Juice Bar sales to a local non-profit organization. My family is honored that we were selected for December, 2014. I wish enough "Hello’s" to get you through the final "Good-bye.."
I think this poem is beyond beautiful and will be adding it to the Inspiration page of this site. The 2014, 4th annual Jersey Shore Out of the Darkness Walk was phenomenal! We not only reached our goal of raising $50,000 for the American Foundation for Suicide Prevention, but far exceeded it by raising over $92,000 with 909 walkers participating!! What a fantastic day had by all. Thank you to Leggett’s for hosting and supplying lunch, to the members of Team Timfinite, and to all teams represented on 9/20/14. To view pictures, please visit http://www.withouttim.com/out_of_the_darkness.html . 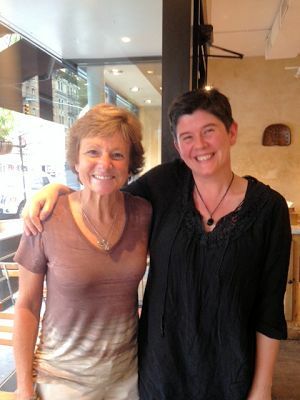 On October 7th I had the pleasure of meeting Kate Shand, author of Boy, from Johannesburg, South Africa! Kate, who also lost a son to suicide and wrote a book, had contacted me after reading Without Tim. We connected on many levels, but doubted we’d ever have the opportunity to meet in person. When Kate found out she was coming to New York City, she asked me how far away I lived and I responded, "NOT TOO FAR, I WILL BE THERE!" We spent a wonderful afternoon together in NYC. What a special day! 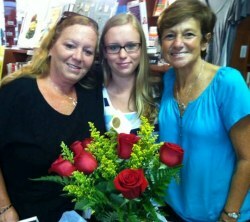 In late October I was awarded Ocean County author of the year by the Ocean Happenings organization. 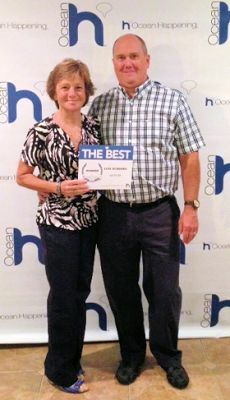 The award was presented at the 2014 Red Carpet Happenings List Bash at La Bove Grande in Lakehurst, NJ. Thanks again to all who voted! Much appreciate the award and recognition! Wishing a great holiday season to all. I recently finished reading the book Thirteen Reasons Why by Jay Asher. I recommend it for any teen or pre-teen who is mature enough to read about suicide. I feel this story can really help youth and adults to realize the impact a joke, rumor, or mean comment can have on another person. Although the book is fictional, I often felt as if it was real. I so closely related to the story and realized that I was providing my best guesses at "13 reasons why" in Without Tim. While I recommend reading the book, I want to add that it does not take into account a person’s mental health make-up; that each person responds differently to any given situation based on their genes and basic chemistry. In summary, this book is a tremendous reminder to all of us to be kind, thoughtful, and aware of our own actions. The 2nd annual Sing into the Sunlight benefit concert and festival being held for suicide prevention and awareness will be held on Saturday, 8/9/14 from noon - 7pm at the Sesselman Park Band Shell, 282 Carlton Ave. East Rutherford, NJ. There will be solo artists and bands performing, vendors, along with a donation booth and informative booths on depression and suicide. I will be speaking and our good friends from http://www.youcannotbereplaced.com/ will be there also! For additional information, please visit https://www.facebook.com/SingIntoTheSunlight/timeline or contact Faith Banca at faithgiannabanca@gmail.com. The 4th annual American Foundation for Suicide Prevention (AFSP) Jersey Shore Out of Darkness walk will be held on Saturday, 9/20/14. We will meet at 10am at Leggetts Sand Bar 217 First Ave. Manasquan (Walk on the Boardwalk), New Jersey. Please support team Timfinite by walking or donating to a walker! Please visit http://afsp.donordrive.com/index.cfm?fuseaction=donorDrive.team&teamID=60657 to sign-up or donate. Thank you very much for your continued support! 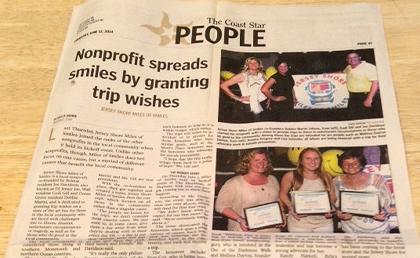 I was very fortunate to be honored at two events in June, 2014. 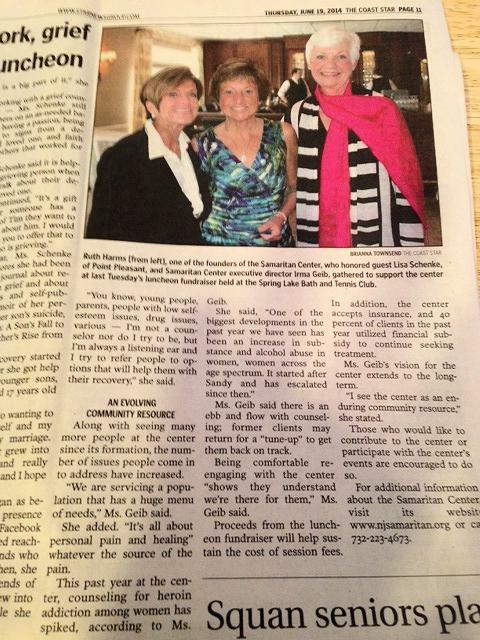 On June 5th, I was extremely grateful to be among the honorees at an event sponsored by a central Jersey nonprofit organization, Miles for Smiles, for my advocacy work in suicide prevention. Five days later, on June 10th, I was both grateful and thrilled to be the Honored Guest at the 2014 Silent Samaritan Luncheon, an annual event which benefits the Samaritan Center at the Jersey Shore. I will share a few pictures and items of information here. I recently read The Fault In Our Stars by John Green. Both sadly and happily, I must admit that it was probably the closest I’ve come to feeling like I lost another child. I felt close to tears a few times while reading the book, but the flow actually didn’t come till I finished the last page. I think the reason I said "sadly" is fairly obvious. The reason I said "happily" was because it felt like such a release to feel the feelings in the PRESENT tense. I have become so used to remembering the immediate feelings of loss in the PAST tense. The loss is always there but if forever evolves, which it should... I think it was a healthy release of some pent-up grief. In other news, a woman who I will refer to as "Angel" came into my life recently. She is not a professional psychic, but feels she does receive messages from the other side and she needed to reach out to me. To those who have read Without Tim, you may recall that I committed to my grief counselor/pastoral friend that I would NOT visit a psychic or medium again. I think this is different in that Angel found me, and I am cautiously happy about this connection. Be it temporary or long-term, it has been comforting. I am feeling a renewed connection to Tim, loss, love, my family, and maybe life itself. Similar to how I felt after finishing The Fault in Our Stars. 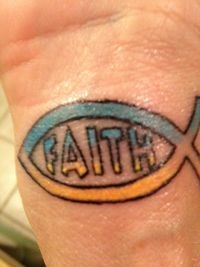 Faith is on my right inner wrist. 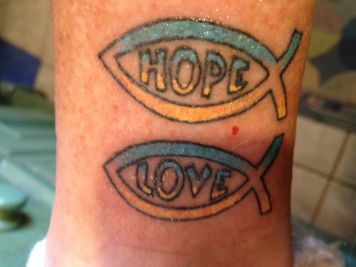 Hope and Love are on my right inner ankle. Thank you my friends for continuing to be a part of this journey. Welcome to 2014! Without Tim has received wonderful Amazon reviews! So far, a total of 25 five star reviews and 1 four star review. Reviews can be viewed under the book section of this web site http://www.withouttim.com/reviews.html. I am extremely grateful and feel pretty good about that! 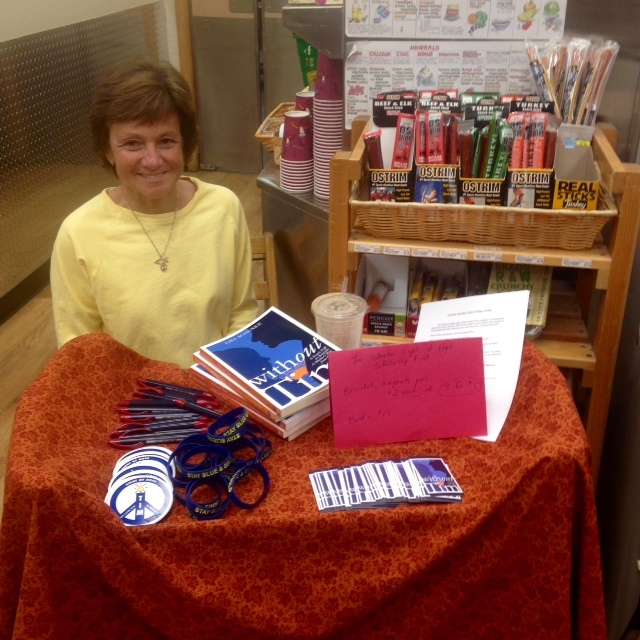 Book sales continue at 10 stores in Monmouth County, NJ and via Amazon, Nook and Smashwords. 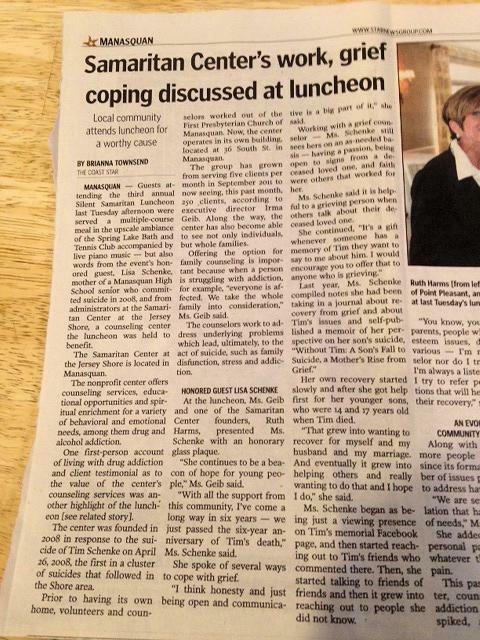 I have also been speaking to some grief support groups, high schools, and various forums. Also "slowing down" a bit after the busy book launch period. My youngest son, Dave, recently changed his major from business to teaching (with special education) and will no longer be eligible to graduate in the spring of 2016. I had tentatively planned to have double graduation because Pete anticipates graduating from law school in the spring of 2016. At first I was a little disappointed. But then I realized that each of the double graduations we had planned did not occur: When Dave graduated from 8th grade in 2008, Tim was supposed to graduate high school the next day. When Pete graduated from a 4-year undergraduate program in 2013, Tim was supposed to graduate from a 5-year undergraduate program the following month. Since the Dave/Tim and the Pete/Tim combos never took place, it makes complete sense to me that the Dave/Pete combo should not take place either. Maybe I am strange, but small realizations like this give me some comfort. Lastly, I have discontinued the blog on the web site because it was not utilized much. Most of my ongoing communication/ blogging type activity with others is through http://www.Facebook.com/WithoutTim . Please "like" the Facebook page if you would like to be involved in frequent updates and discussions. Thank you very much for your ongoing love and support. Please support team Timfinite at the 3rd annual Jersey Shore AFSP walk by walking or donating to a walker! This year the walk will be held on Spring Lake boardwalk, beginning at Brown Ave., the very south end. Please visit http://afsp.donordrive.com/index.cfm?fuseaction=donorDrive.team&teamID=49564 to sign-up or donate. Thank you very much! 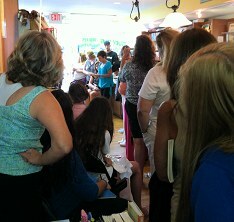 Lisa’s Pre-Launch for Without Tim was a tremendous success! 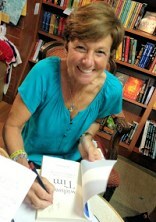 Rita, owner of Booktowne in downtown Manasquan has said that it was the most successful book signing she has ever held, selling the largest number of books! Initial feedback is extremely positive - from teens and young adults, those who are grieving, parents in general, and all audiences! Lisa’s "Official Launch", coinciding with World Suicide Prevention Day, will be held on September 10, 2013 at the Samaritan Center, 36 South St., Manasquan, NJ at 7pm. Please come out to hear Lisa speak and have your book signed! 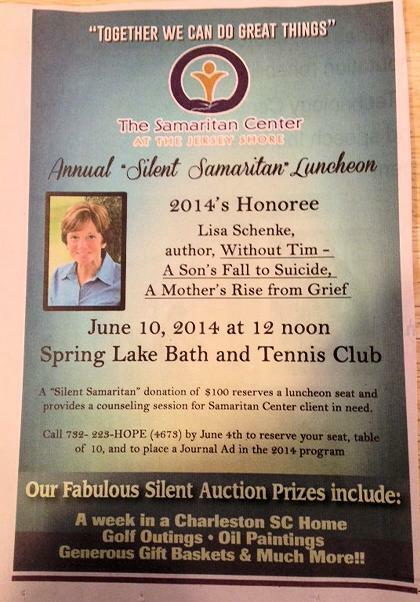 To view the Press Release for Lisa Schenke and Without Tim, please click here. If you haven’t read the original Eternal Flame story from April, 2013, please read below first. It has taken us a while to sell the house in Spring Lake Heights, but thankfully, we will be closing the sale this week! Today, Sunday, 7/28/13, Andy and I were getting the LAST of our stuff out of the house and the yard. We had my SUV loaded to the brim and our old sailboat filled with old wood, old metal, and brush that had to be taken off the property. Andy drove my SUV to Point Pleasant and asked me to drive directly behind him in his car because the lights on the sailboat trailer weren’t working well. I CANNOT believe that twice during the 15 minute ride home I heard the song, Eternal Flame! The first time I kind of got the chills but thought it might be a coincidence. Then the second time, on a different station, I knew it was Tim once again telling me that he is aware of the house selling and still "OK" with the move. Wow! This can’t be a coincidence because I still rarely hear the song. And twice during that short car ride?!? I am feeling Tim’s presence. UPDATE one day later, 7/29/13: After I locked myself out of the house for the last time, guess what song I heard on the radio? The other important song between Tim and me: Someone Saved My Life Tonight!! As some of you know, my family will be moving to Point Pleasant, fifteen minutes away from our current home, on 4/19. Even though my other two sons are now young adults and out of the public schools, I have still been wondering how they will adjust to the move; as I think most parents would! However, I had not given any thought to if/how Tim would feel about the move. Until this week. I did not look or ask for any answers from Tim, but I believe he let me know anyway! After Tim died, a few people had told me to keep a light on in his room or maybe a nightlight, so that Tim would feel welcomed to return whenever he wanted. While once again roaming around downtown Point Pleasant, one of my "happy places," in the early months after Tim’s death, I found a starfish nightlight that I loved and thought would be just perfect to keep lit in Tim’s room. This past Monday, 4/8/11, I could not get the nightlight to turn on. The bulb did not appear to be dead but I changed it anyway. The starfish nightlight still refused to turn on. I admit that I was more than a little upset. I have been driving back and forth between Spring Lake Heights and Point Pleasant almost daily for the past week, since we now own both houses. On my way back to Spring Lake Heights last night I realized what Tim was trying to tell me. I believe Tim is letting me know that the light does not need to shine in his old room at 2415 Kipling Ave; that his light is an "Eternal Flame." Maybe this is Tim’s way of letting me know that he is ok with us leaving this house and he approves of the move? I think so. Update 4/14: OMG! I went out at 7:35 this morning to find more boxes. I NEVER, EVER go out that early on a Sunday. I don’t even get up that early on a Sunday, but I couldn’t sleep. Guess what was on the radio? "Eternal Flame" !! Tim confirmed my interpretation! I am on cloud 9. Added bonus: 22 boxes! And in such a great mood that I stopped to buy bagels for the fam! Hello, my name is DRUGS - I destroy homes, tear families apart, take your children, and that's just the start. I'm more costly than diamonds, more costly than gold, the sorrow I bring is a sight to behold. and if you need me, remember I'm easily found, I live all around you, in schools and in town. I live with the rich, I live with the poor, I live down the street, and maybe next door. My power is awesome; try me you'll see, but if you do, you may NEVER break free. Just try me once and I might let you go, but try me twice, and I'll own your soul. When I possess you, you'll steal and you'll lie. You do what you have to just to get high. The crimes you'll commit, for my narcotic charms will be worth the pleasure you'll feel in your arms. You'll lie to your mother; you'll steal from your dad. When you see their tears, you should feel sad. But you'll forget your morals and how you were raised, I'll be your conscience, I'll teach you my ways. I take kids from parents, and parents from kids, I turn people from god, and separate friends. I’ll take everything from you, your looks and your pride, I’ll be with you always, right by your side. You’ll give up everything..., your family, your home... your friends, your money, then you’ll be alone. I’ll take and take, till you have nothing more to give. When I’m finished with you you’ll be lucky to live. If you try me be warned this is no game. If given the chance, I’ll drive you insane, I’ll ravish your body; I’ll control your mind. I’ll own you completely; your soul will be mine. The nightmares I’ll give you while lying in bed, the voices you’ll hear from inside your head, the sweats, the shakes, the visions you’ll see; I want you to know, these are all gifts from me. But then it’s too late, and you’ll know in your heart, that you are mine, and we shall not part. You’ll regret that you tried me, they always do, but you came to me, not I to you. You knew this would happen. Many times you were told, but you challenged my power, and chose to be bold. You could have said no, and just walked away. If you could live that day over, now what would you say? I’ll be your master; you will be my slave, I’ll even go with you, when you go to your grave. Now that you have met me, what will you do? Will you try me or not? It’s all up to you. I can bring you more misery than words can tell. Come take my hand, I’ll take you to hell!